A new bike safety norm will be enforced on bikes above the 125 cc segment wherein it will be mandatory to offer ABS while bikes with a lower displacement will require a combi brake system. This step will ensure manufacturers provide a basic driver aid, which will make bikes safer on the road and potentially save a lot of lives. 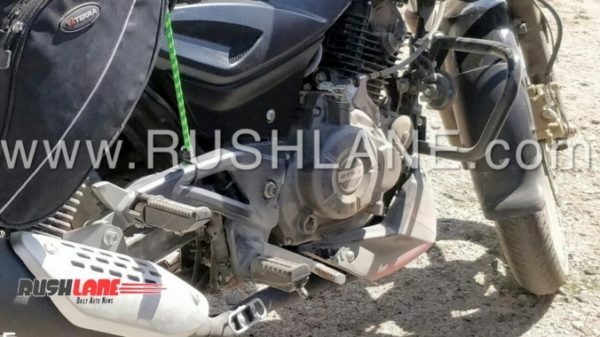 Bajaj, preparing in advance for this regulation has started testing one of its popular models, the Pulsar 150 after equipping it with dual channel ABS. As a part of the upgrade, we see a new rear disc brake which clearly shows off the ABS module rings, both at the front and rear discs. 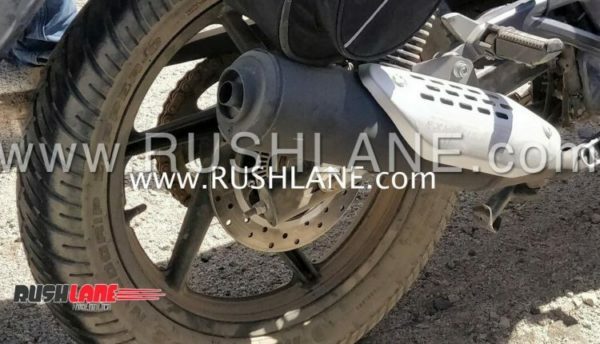 In the spy images, we see the bike has a larger exhaust end can apart from the new braking system, which could indicate that the engine has been tweaked to make it BS-VI compliant. No other changes are seen on the test mule, apart from the addition of a new belly pan. The bike continues to carry the dual tone paint scheme and the pan belly also receives the same colour treatment which would add a little bit of oomph to the bike. The tyres also remain the same in terms of size and the body features no other changes. The current Pulsar comes with a rear drum brake and a 149 cc air cooled engine which generates 14 hp and 13.4 Nm of torque. However, the power figures may change on the ABS-equipped model as it may be tuned to be BS-VI compliant. 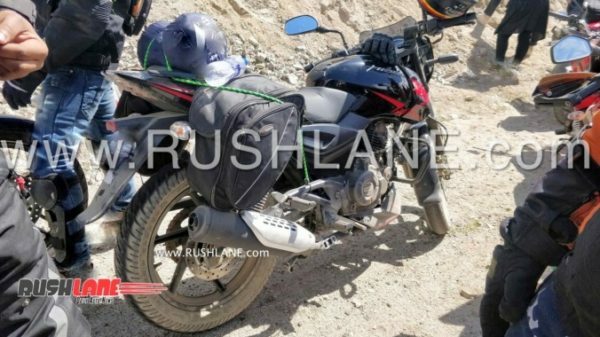 Expect a premium of INR 10,000 on the Ex-Showroom, Mumbai price of INR 74,573 when the bike comes out, which as per rumours will happen during the festive season this year. The Pulsar 150 goes against the Honda Unicorn and Hero Achiever 150.